The original person that signed up for Sellf is considered to be the Administrator, who is able to view and update billing information. 1. Sign into Sellf web as an administrator (www.sellf.io) and navigate to "Settings" > "Billing". Once your billing information are provided, you will be billed based on the number licenses on your account (active users in your team). 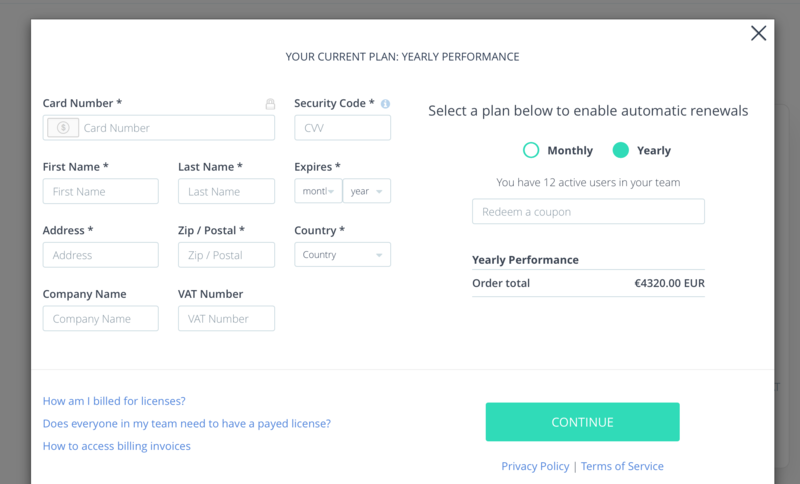 Sellf is a recurring monthly or yearly subscription and you may cancel anytime, but you will not receive a refund for any unused portion of your subscription. Additional upgrades or licenses will be billed on a pro-rated basis.